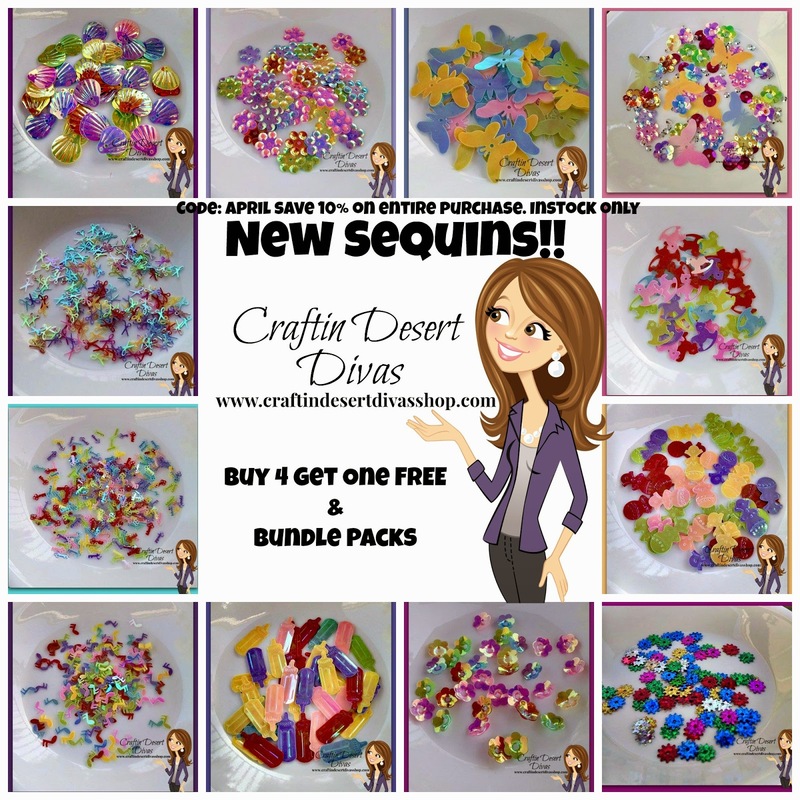 Craftin Desert Divas Blog: New CDD Sequins!!! 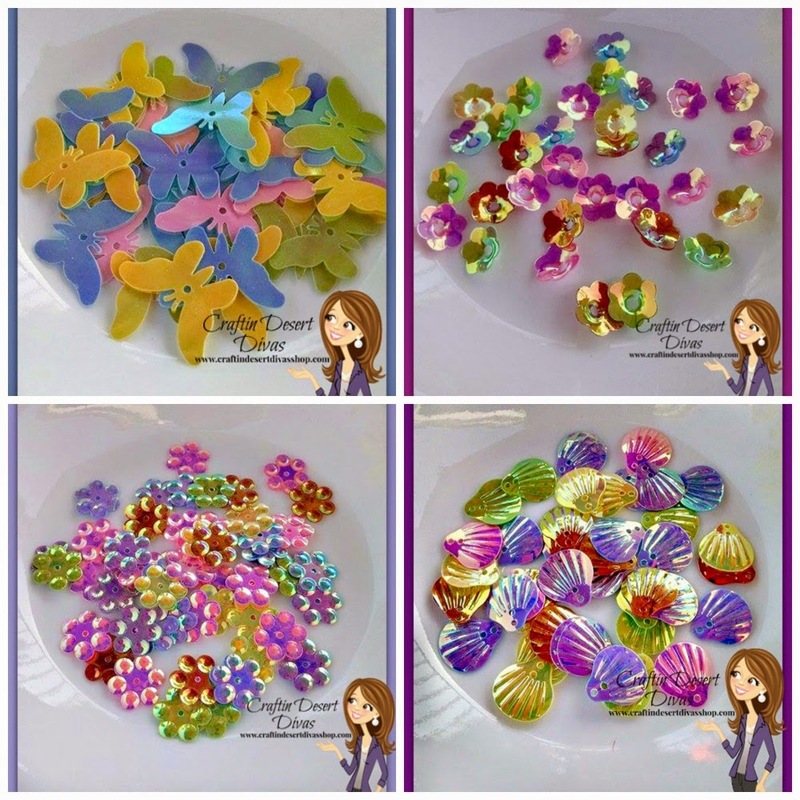 There are new sequins in the CDD Shop today!! 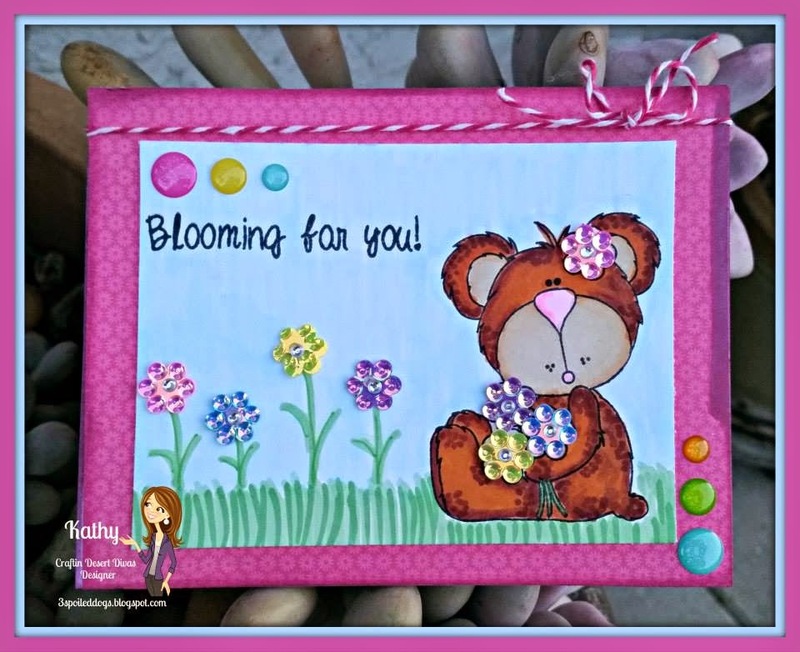 We added several new different flowers, butterflies, baby bottles, rocking horses, seashells, scissors, palm trees, music notes, vintage keys and more. If you would like a chance to win a $10 gift card to the CDD shop, just click on the DT ladies name and go comment on their blogs I will pick one random winner on Sunday. 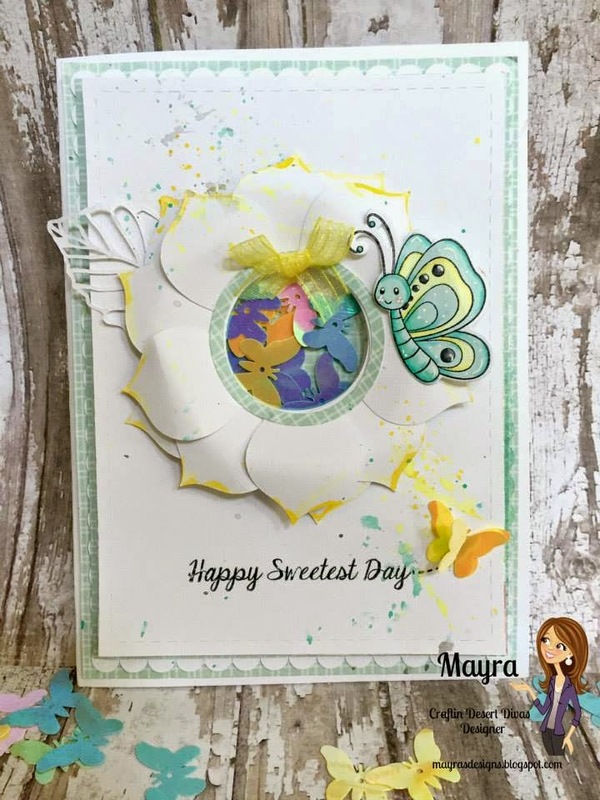 Banner Dies and Bitty Blessings stamps. 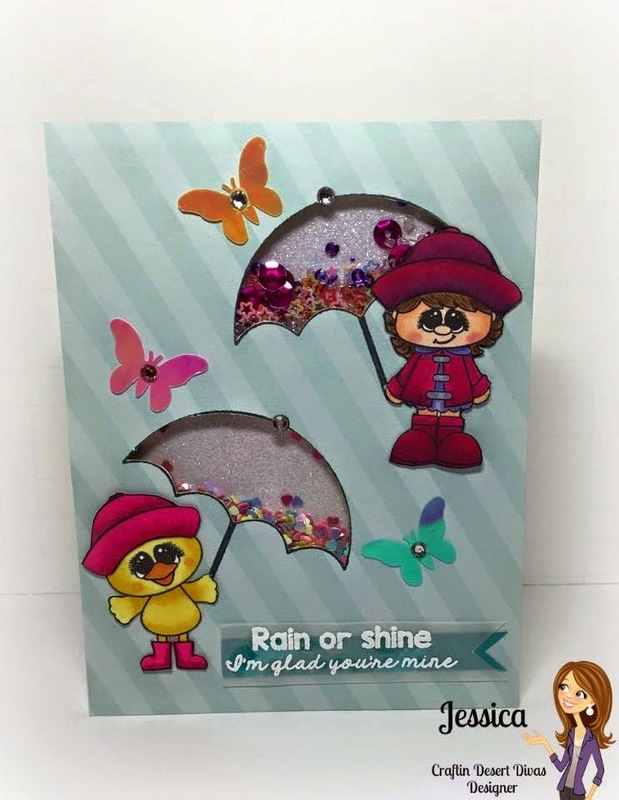 I've created this gear shaped card using Gear It Up sequins and sentiment is from Birthday Express stamps. 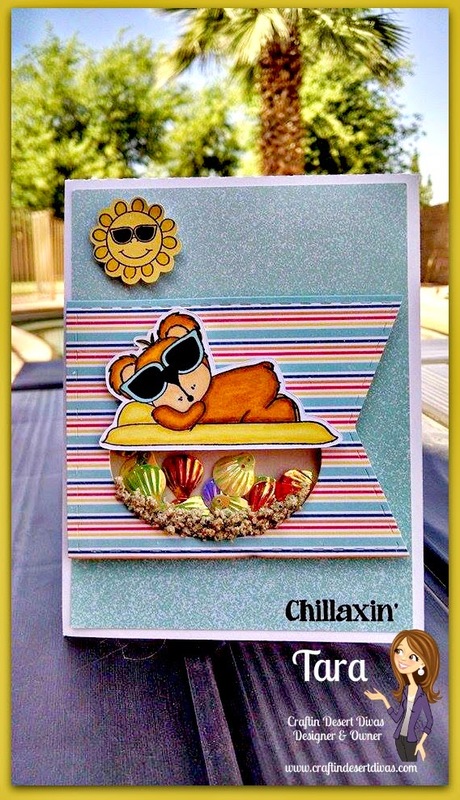 This card is using the Seaside sequins, Banner Dies and Gotta Wear Shades stamps. All sequins are buy 4 get one free. Bundles not included. You can also use Code: April to save 10% on your entire order thru 4/26 10pm MST. Applies to instock only items. 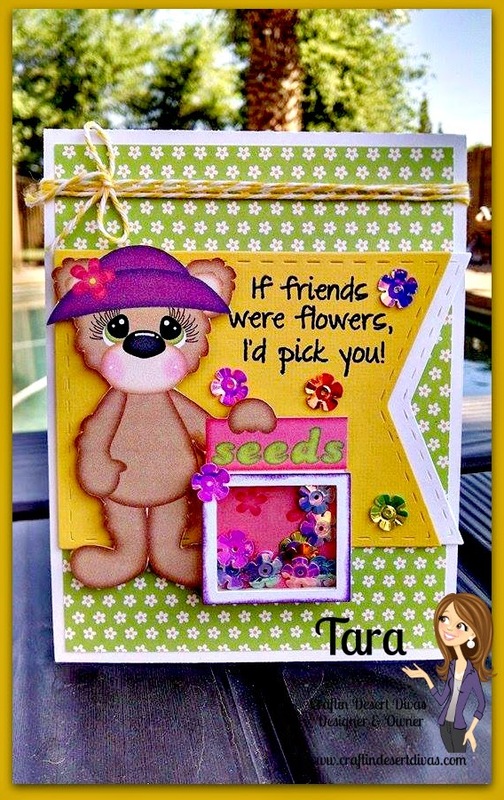 Dang Tara, You make the most amazing and unique shaker cards (did I hear you mention your seeking an apprentice? LOL JK), but seriously, I just enjoying seeing all your creations using all the wonderful Crafting Desert Diva products. Tara your shaker cards are the best!!! I am so amazed at all the talent!! Thanks so much for sharing with us!!! I absolutely love the bear beach card!! Great inspiration!! Thank you for the sale!! The projects are all so cute. Oh they are awesome...I'll have to get busy and learn this technique - never made a shaker card ever! they are so cute....I love them alll...can't pick a fav out of above cards....LOVE THEM ALL!!!! so many wonderful ideas in them!! my next problem where would I start!!! sequins on the blog hop!! Love your cards and all the new sequins! ALL the cards are FABULOUS! Thanks for the opportunity of winning a gift card to your store! Love all your cards!!! 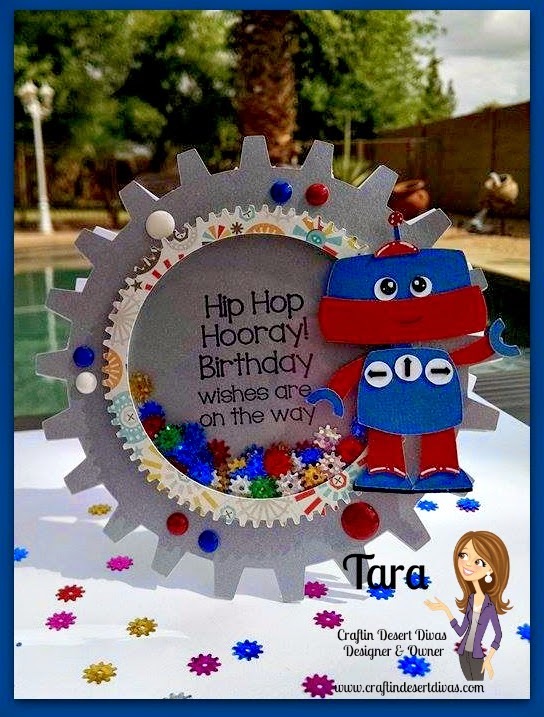 I especially love the robot card!!! OMG!! Your shaker cards are beautiful!! 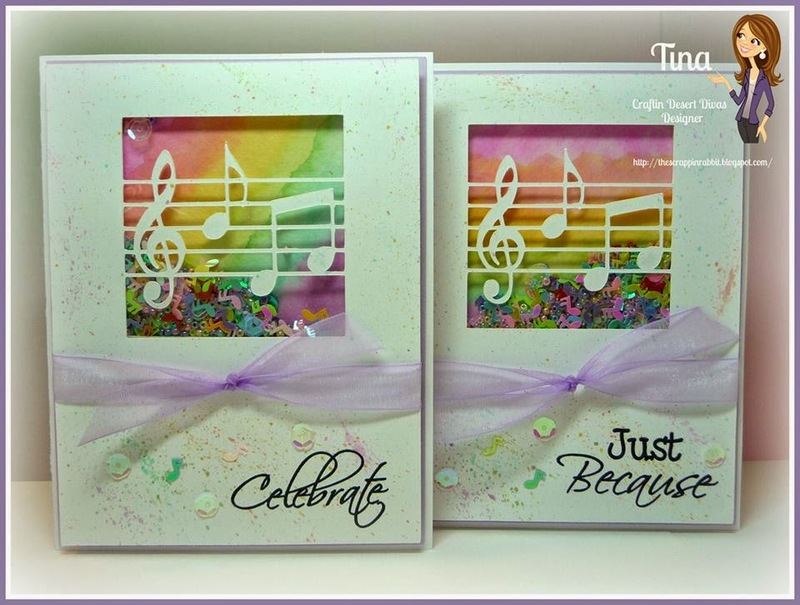 DELIGHTFUL sequins and ABSOLUTELY FABULOUS sequin-filled cards & tag!!! 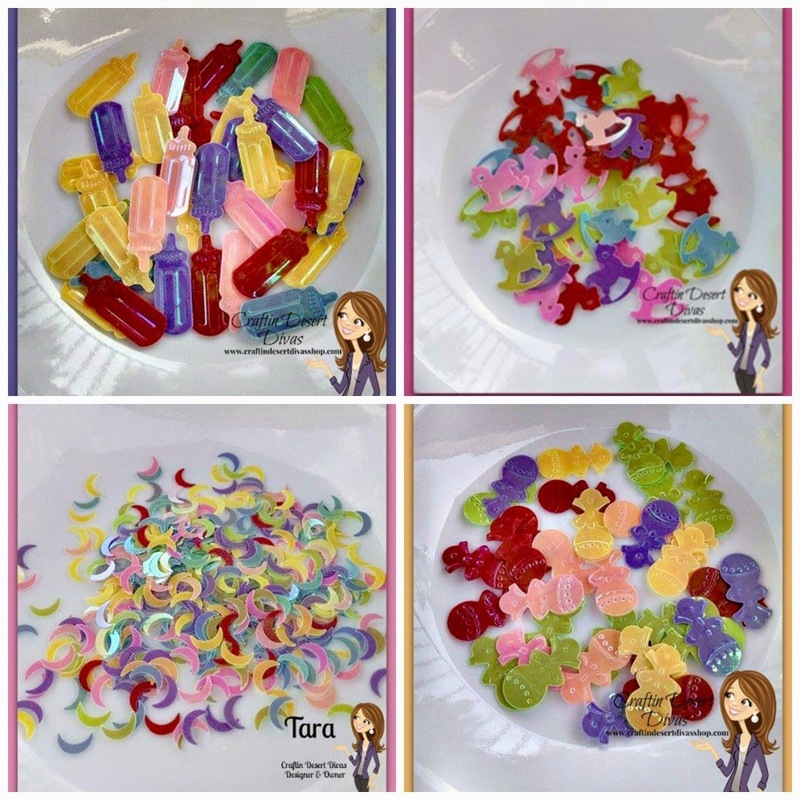 LOVE these shiny DELIGHTS and LOVE the projects they INSPIRED, SO MANY SUPER CUTE, FUN & BEAUTIFUL designs!!! 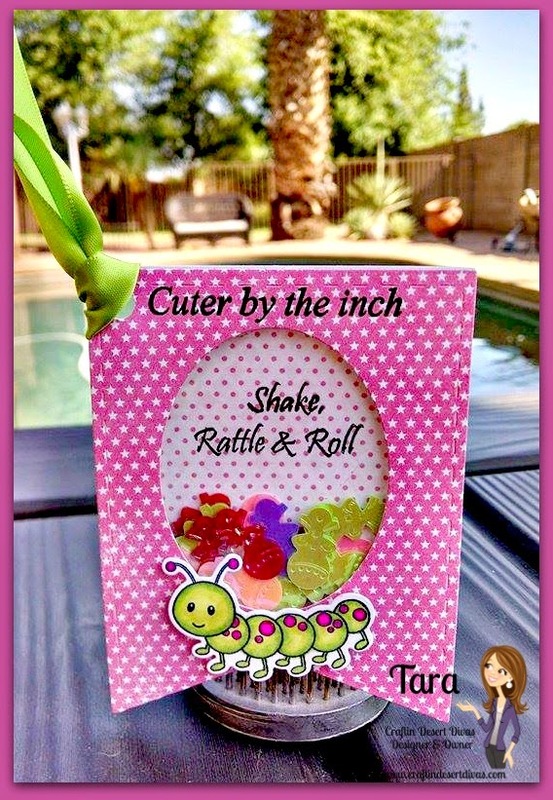 Tara your shaker is AWWW-dorable. Thanks for sharing. Thanks DT for sharing all your wonderfully cute creations.